I had some colorful peppers that were beginning to wrinkle and look less-than-fresh. So not one to waste anything, I decided to roast them with some added flavors and have on hand as a snack, side dish, or a delicious sandwich addition. I perused some other recipes online and decided on a combination of olive oil, salt pepper (the classics) with balsamic vinegar, brown sugar and lemon juice (little more exciting) and onions/garlic (which would caramelize oh-so-sweetly). The roasting is quick and you can store these in a jar to use later! Preheat your oven to 250. The idea I had was to have soft, roasted peppers infused with flavor, rather than more crispy ones, so I wanted a longer roast at a lower temperature. 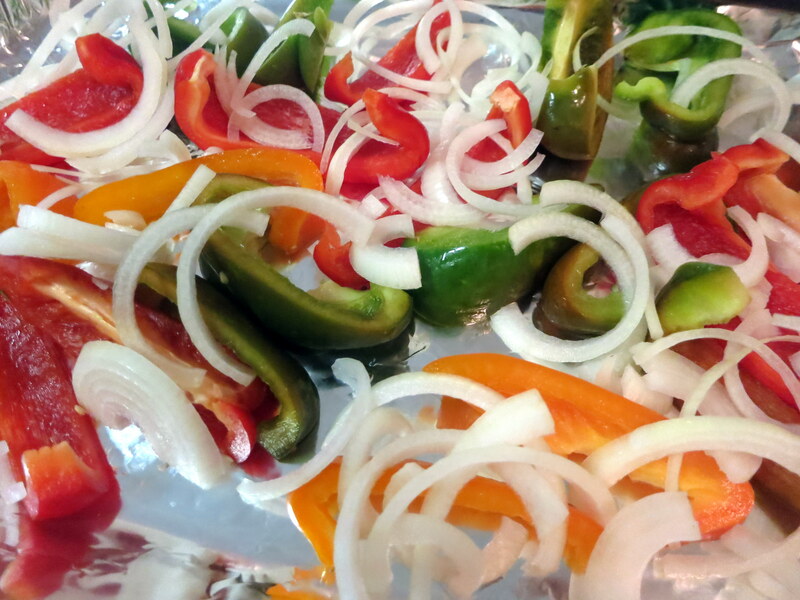 Lay out the peppers and onions on a baking sheet. Mix together the balsamic vinegar, olive oil, lemon juice, garlic, salt and pepper. Taste and adjust to your liking. 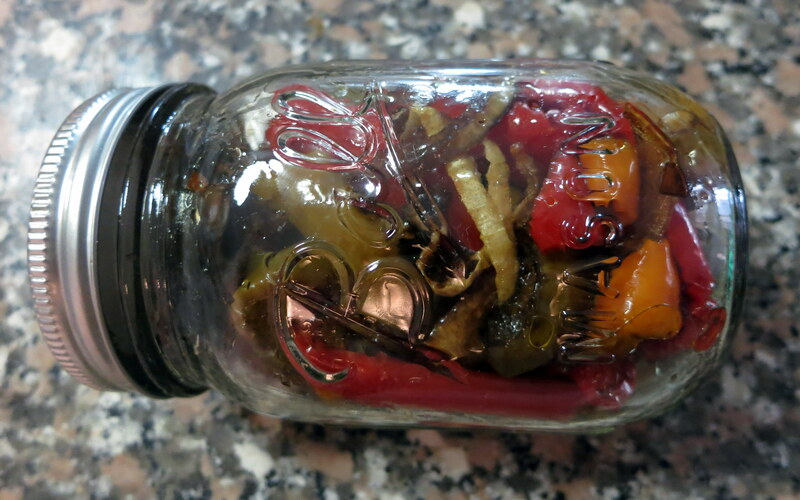 Pour the mixture over the peppers and bake 20-40 minutes, until peppers are soft. 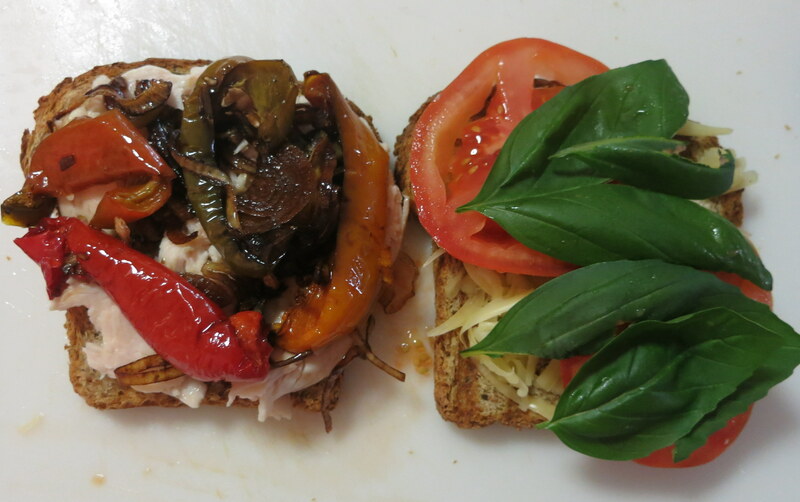 Serve warm on their own or in a sandwich (I liked the tomato, basil, mozzarella, turkey combo below)!